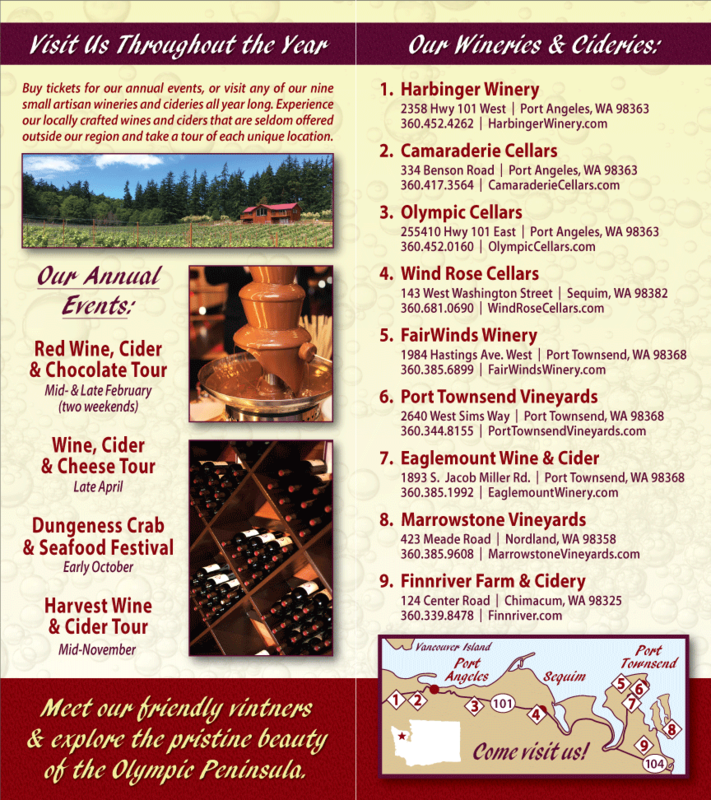 During the 2012 Lavender Weekend in Sequim, all the Olympic Peninsula Wineries will be joining in the celebration. To whet your appetite, we’ve found a great recipe with lavender to share: Grilled Colorado Lamb Chops with Lavender. 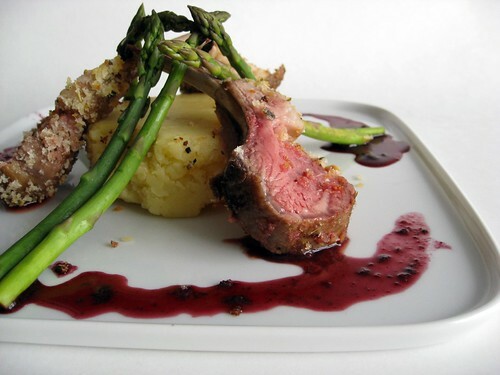 Each of the eight wineries of the Olympic Peninsula shared their recommendations of wines to go with this simple and delicious lavender and lamb dish. Try this lavender recipe and have your own tasting with a wine or cider from each winery! We also suggest taking the Olympic Peninsula Lavender Weekend Wine Tour. Each winery will have additional wine and lavender pairings to suit every palate. Black Diamond Winery: Muller Thurgau. This Reisling cross is slightly sweet with spicy undertones. Camaraderie Cellars: Merlot, with its blackberry and cherry flavors or their slightly peppery/spicy Syrah. Eaglemount Wine & Cider: Raptor Reserve, a blend of Cab-Sauv, Merlot, and Cab Franc. Also Apple Mead or Quince Cider. FairWinds Winery: Lemberger, an unfiltered red with mellow yet complex flavors of fresh fruit and spice. Finnriver Farm & Cidery: Sparkling Appleblueberry, an off dry champagne method cider or the dry Artisan Sparkling Cider. Olympic Cellars: Their full-bodied Syrah or the Cabernet Franc with flavors of sage, tarragon and lavender. Wind Rose Cellars: Nebbiolo. Opening aromas of pipe tobacco and savory herbs. Cherry and plum flavors with a cranberry finish. Be sure to take the Olympic Peninsula Lavender Weekend Wine Tour to taste these and other award-winning Olympic Peninsula wines. Many wineries and cideries will have special releases of lavender-themed creations. You can also experience Olympic Peninsula wines by visiting the Sequim Lavender Farm Faire Wine & Beer Garden at Carrie Blake Park (202 Blake Avenue in Sequim).